Growing up we were constantly taught to add grease to our scalps and hair for moisture…. not the best advice. And strangely, no one told us to deep condition more often. We’ve also been taught that our hair is strong, because if you run a fine toothed comb through our hair, we may break it. Ha! But the truth is our strands can be fragile, weakened, heading for disaster and there is nothing healthy about that. A treatment that no one pays enough attention to, unless something goes wrong is a protein treatment. Seeing that our hair is made of protein, reinforcing our hair is like shielding it from breakage. Think about all that your hair goes through with combing, heating, brushing and breakage. Once the hair has been damaged, and the protein within your hair has been damaged there are no other barriers used to reinforce your strands to make them strong. Luckily, protein treatments are readily available. Protein is life changing for your hair. Not only does it reinforce your strands, it enables softer, shiny, healthy and hair that is easier to deal with. As a woman with fine hair, protein treatments are a godsend. 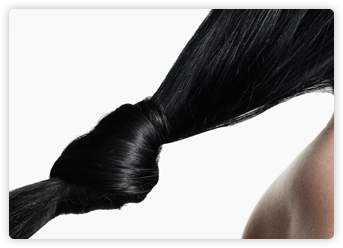 Each individual strand of my hair feels thicker and stronger after a treatment. This enabled with the benefits of not using direct heat has been amazing for my hair. And my curls just pop! You have to see it for yourself. Protein treatments are not a permanent fix however, and must be redone on a monthly to bi-monthly basis depending on its strength. Remember protein and moisturizing treatments should be balanced. What are your favorite protein treatments? I have to say that my oldie but goodies is Aphogee. I use the enter system when I use the products. I believe the DC gives me that balance/ pick me up that I need after enduing so much moisture on my hair.